Legal 500 United States 2011 has ranked Patterson Belknap in its top tier for Media, Technology and Telecoms - Marketing and Advertising. Steve Zalesin was named a Leading Lawyer. 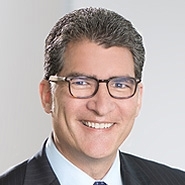 The guide notes that the firm's experienced team, led by Steven Zalesin and supported by the firm’s wider IP strength, represents consumer products companies in Lanham Act disputes and before the NAD and FTC. 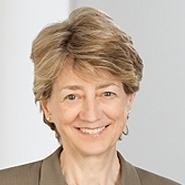 Of counsel Christine Miller, who heads the firm’s advertising counseling and NAD practice, also advises on advertising substantiation and network clearance. In 2010, Zalesin and his team successfully represented Coca-Cola in a false advertising suit brought by the makers of the pomegranate juice POM Wonderful. The practice successfully defended Burt’s Bees’ claim that its natural toothpaste is clinically proven to improve oral health against a challenge before the NAD, which also upheld Burt’s Bees’ dentist endorsement claim. Other clients include The Dial Corporation, L’Oreal/Maybelline, Priceline.com, Spectrum Brands, Johnson & Johnson, Clorox and Ethicon Endo-Surgery.